#006 was built as a customer order. The customer ordered this Launch Edition exactly to their specifications. #006 was a fun project that showcased evolution in the Launch Edition program. A client saw #002 and was enamored with the air-suspension set up featured on that build, he wanted to commission his own LE with a direct evolution to that truck, We started with a unique OEM slant-back donor vehicle found in Detroit Michigan and began the design process with that truck in mind. 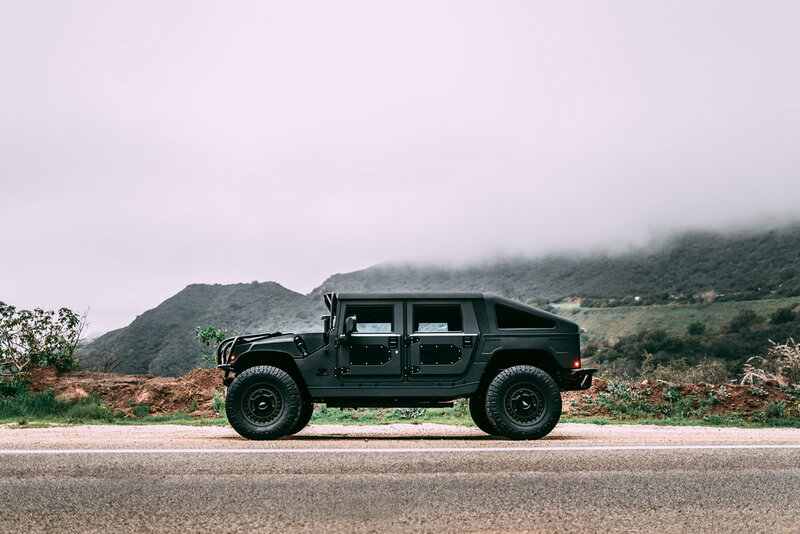 The customer wanted to create a utilitarian aesthetic but with a respect for the H1’s heritage, we decided that #006 had to be simple, yet dramatic. 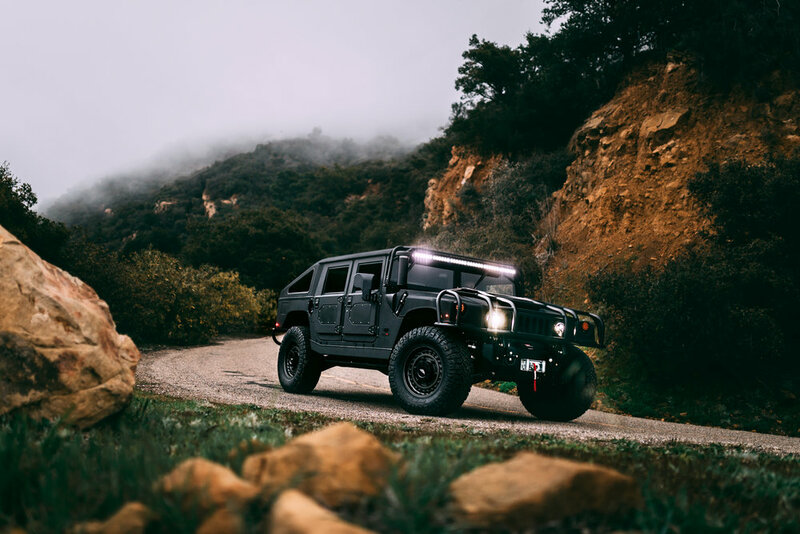 The vehicle you see here showcases month’s of internal development and refinement, we developed a second generation air suspension system with an auto-leveling system not previously found on #002. This system featured fantastic on-road performance in terms of ride quality and handling. 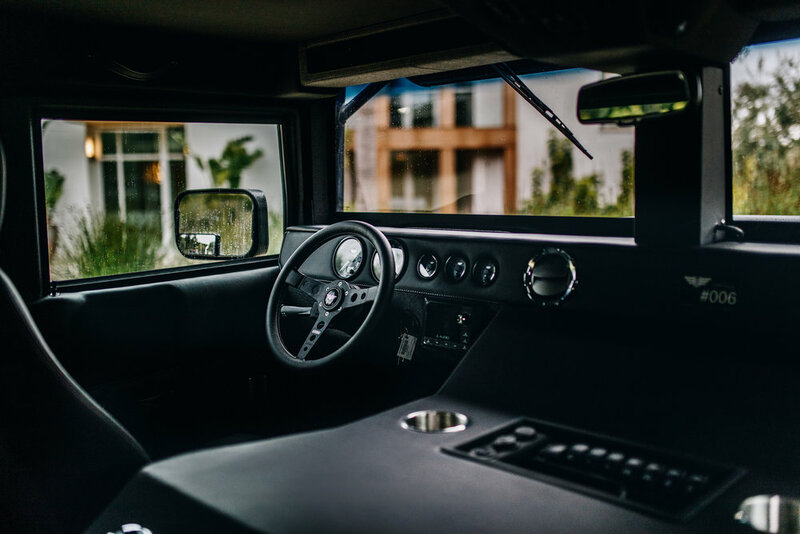 We finished this truck in a triple black paint scheme with our standard duck canvas and black leather interior to fit the utilitarian theme the customer had in mind. 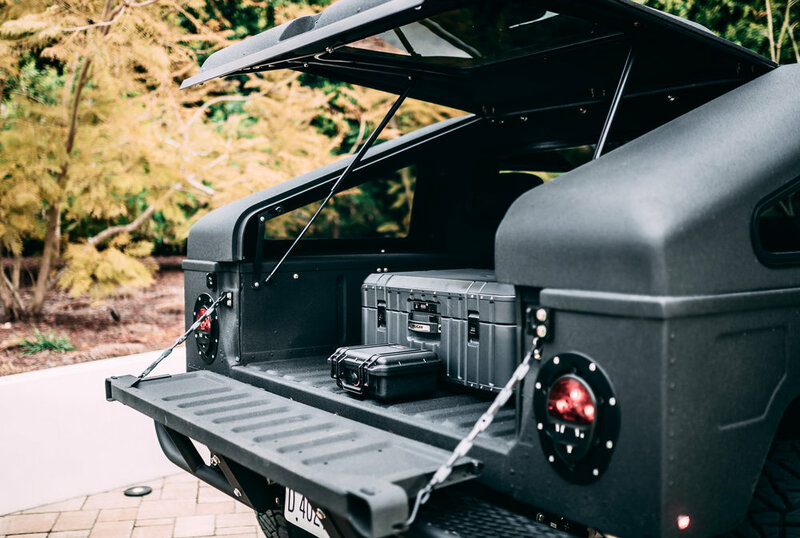 Not only did #006 feature evolutionary air-suspension, it also featured updated interior components such as laser etched switches, improved sound deadening application, and fitted Pelican luggage. The aesthetic focus of #006 was to capture MSA’s distinct aesthetic but turn the volume up a couple notches.